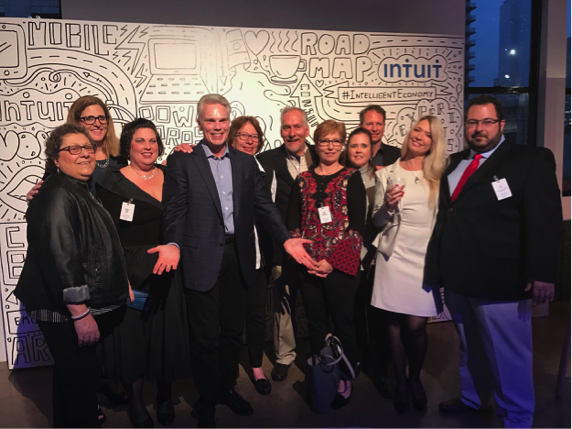 In late March, a few members of the Intuit® Reseller Program (IRP) were honored to be invited to Intuit’s Technology Gallery Walk with Brad Smith and other influencers in the Intuit ecosystem. At the event, Intuit set up 26 different product demos. These enhancements are either available today, coming soon or a glance into the future. We had the opportunity to speak directly with the developers who were eager to get feedback from attendees. Here’s what we found, and how I think these technologies will affect our practices. 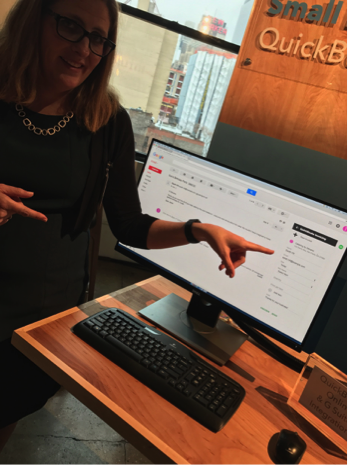 The big buzz of the show was the integration between QuickBooks® Online and Google G Suite. There are two integrations: the first demo showed the QuickBooks icon directly inside Gmail, so when you open up an email, you can click the QB icon and a screen will pop up to create an invoice that instantly shows up in QuickBooks. With this tight integration, the invoice pre-populated with the Gmail contact’s information. This was AMAZING! Although it is not yet available, what I really loved about Gmail Add-on for Invoicing is that once you create this invoice, you can quickly email it to your client using the integrated QuickBooks Payments; the client can click the pay now link, and pay using his or her credit card or ACH. Bill my time from Google Calendar (available in Beta) is a two-way integration directly inside QuickBooks and Google Calendar. When you create a calendar event, you can tag it to a QBO Customer, and it will automatically show up as a billable time entry in your QBO. When you invoice, you will be able to select all the hours that need to be invoiced by syncing with Google Calendar appointments. This is amazing, flexible, easy-to-use workflow, allowing you to create an invoice in minutes, as opposed to toggling in and out of the two programs: QBO & Google calendar. Both of these integrations will help us invoice more billable time! My next stop was a chat with the QuickBooks Self-Employed (QBSE) team. I asked them if their future roadmap included adding the ability to track a full balance sheet; they said, "No, it’s meant for Schedule C only." I asked about emailing an invoice to a client and having it paid through QuickBooks Payments, which they said was already available. Then, I gave him the feedback that I’ve received from my partners who would love to see the mileage tool added to QBO as well. We agreed that everyone loves this integrated feature. In our practice, we have many QuickBooks Proadvisors® that sell and support QBSE. I am excited to let them know that they can send invoices in QBSE and use QuickBooks Payments. This integration is fantastic and will really help speed up collections! Next stop was the artificial intelligence demos. These are a glimpse into the future. I saw how you can actually have Siri schedule a bill for payment. This technology demo showed us how Intuit is working on scheduling bills using Mint.com. My feedback was to add this to the other Intuit QuickBooks products because this would be a powerful tool in our practice. The future is exciting! At the end of the day, I spent a lot of time talking to Chris Hamilton, leader of the Global QuickBooks Proadvisor Group. He was at the table showing the enhancements to the Find-a-ProAdvisor website. As a ProAdvisor who has been selling and supporting QuickBooks products since QuickBooks Dos V1, I can now provide a partner program, coaching other ProAdvisors to improve their offerings by collaborating with other partners. I explained how the Find-a-ProAdvisor tool actually helped me start my business. I continued to brainstorm presenting ideas to ultimately bridge connections to tax accountants/CPAs, ProAdvisors, the Direct team at Intuit and Intuit resellers. A big thank you to Brad Smith and Scott Cook for taking the time to talk with me, and thank you to the IRP team for selecting us to participate in this event! Carrie Kahn, owner of Complete Business Solutions, delivers Intuit-based solutions for end-users, ProAdvisors and partners. She is considered one of the largest and fastest-growing IRP's in the world. Her Complete Business Partner Program is helping ProAdvisors and other partners become better at their profession and substantially increase their income, while saving their customers time and money. She serves as a host for the ABBO Facebook group (accountants, bookkeepers, and business owners) as the QuickBooks product expert. 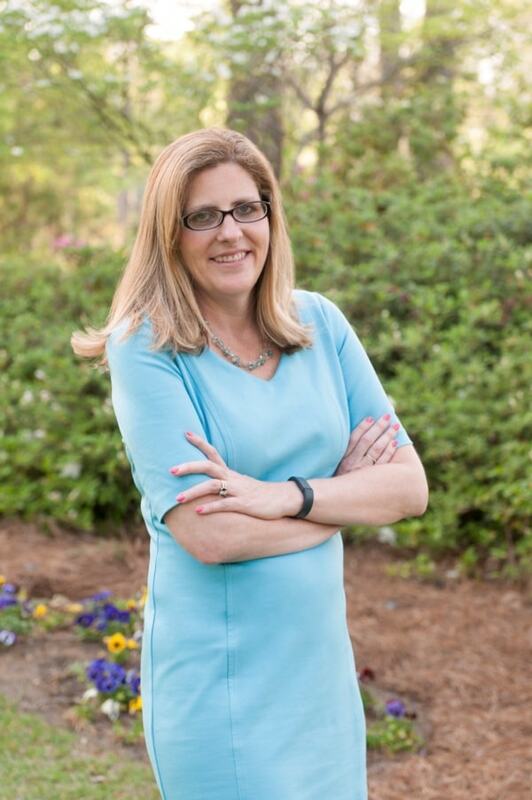 She was named top 100 QuickBooks ProAdvisors of the Year for 2014, 2105 and 2016. She has been in the top 10 Intuit Premier Resellers (IRPs) since 2012, and currently is ranked #1 in the East.